OUR NY STRIP STEAK WINNER!! LISA TOWERS! Corn hole contest winner!! jESSICA EDWARDS! With summer coming what do you do for fun in the sun? We Here at Cortland Produce Cash and Carry would love to give you the opportunity to win a brand new Corn Hole set! All you have to do is get on our facebbok page, like our facebook page, share our contest, and comment done! Once our facebook page hits 3600 likes we will draw a winner! Yes, another contest to get you in the grilling mood! This time we would love to give you some NY Strip Steaks! All you have to do is go to our facebook page and share our contest post! Maybe post your favorite steak recipe! Can't you just smell them cooking now?! Yum! Once our post hits 200 shares we will draw a winner! Congratulations to the winner of our NY Strip steak contest! Picture to follow! With grilling season coming upon us fast you can't miss our HOT Thrill of the Grill sale. Keep checking back for the HOT grill sale. And remeber to check our Facebook page for contests. TRADITIONAL HOLIDAY MEALS...WE'RE HERE TO HELP!! Holiday traditions from around the world vary from place to place, but they all center on one common event…meals! Holiday meals are an important way for both family and friends to get together and unwind, reconnect and escape from the fast-paced, stressful and sometimes chaotic times of today’s world. Cortland Produce Cash and Carry has all you need to impress your guests and delight your family with an elegant menu at your holiday event this year. Whether you are looking for traditional holiday fare or want to try something different and new for your holiday meal, we have an extensive line of top quality meats and seafood to make your event special and memorable. Cortland Produce Cash and Carry is proud to offer Creekstone Farms All Natural Beef products including Black Angus Standing Rib Roasts, Boneless Ribeye, Filet Mignon, Baron of Beef (Roasted Strip Roast) and Sirloin Tip Roasts to name a few. Any of these top quality, all natural cuts of beef will be sure to impress your guests and our butchers will cut, tie, season and stuff your meats at no extra cost! If you are looking for a delicious holiday ham, look no further! 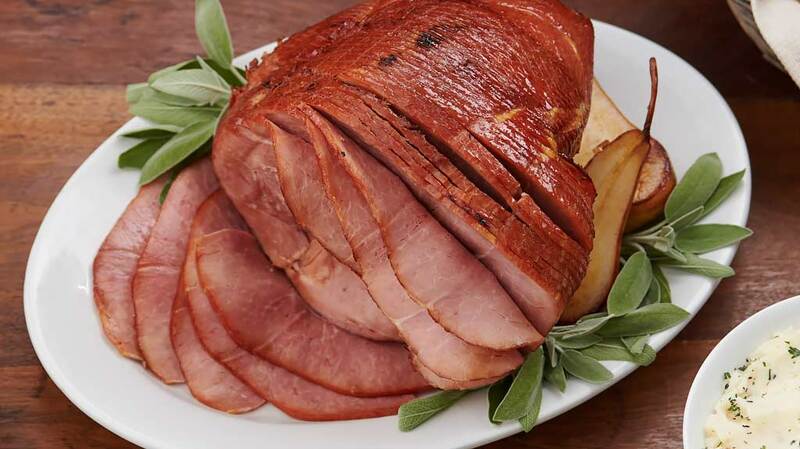 We also carry Hatfield Spiral Hams, Boneless Pit Hams and Low Sodium Ham options that will be sure to please as you serve this classic holiday dish. And don’t forget about our full line of Seafood available at Cortland Produce Cash and Carry. 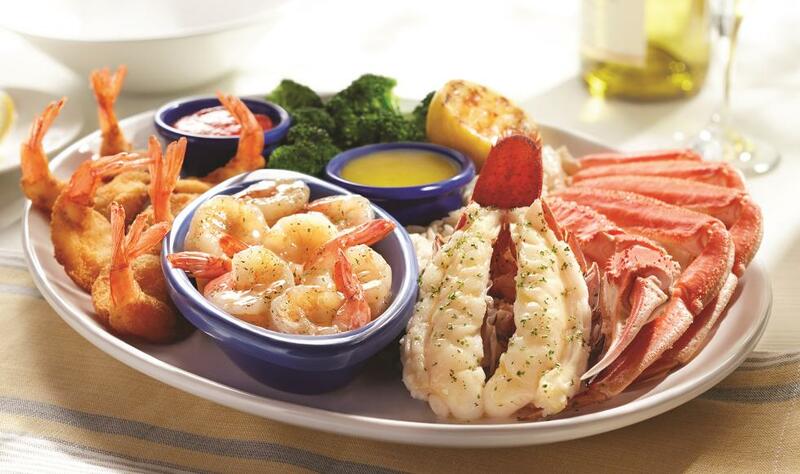 From Shrimp to Scallops, Lobster Tails to Crab Meat, Stuffed Clams to Smoked Salmon and more, you will be sure to find that perfect dish or appetizer to complete your holiday meal. Cortland Produce Cash and Carry wishes you a holiday season filled with warm moments and cherished memories, from our family to yours!! We Love Offering Restaurant Quality Food For Your Home! Click the link below for more details and pricing. Take the hassle out of your holiday planning, let us do the work! Planning a home or office holiday party this year can be made easy with the help of Cortland Produce Cash and Carry. Whether you just need appetizers to snack on or are looking for top quality meats or seafood for a full service meal, we have a wide variety of delicious and innovative holiday party foods sure to please your guests! We love offering restaurant quality food for your home! Cortland Produce Cash and Carry is proud to offer a delicious variety of specialty Les Chateaux de France heat and serve hors d’oeuvres of the highest quality. From cocktail franks and meatballs to mini quiches and spanakopita you’re sure to find something for everyone this holiday season. We also offer a variety of made to order platters such as seafood, deli meats and cheeses, antipasto, fresh fruits and veggies and more for your convenience. If you are looking for top quality roasts, ham or lamb to serve to your guests, don’t forget to stop by our butcher shop. Our butchers will tie, cut, season and/or stuff your meats, all for FREE! And don’t stress over dessert, we also have that covered! From pies to cheesecakes, cookies to cream puffs you’re sure to have something for everyone! If you prefer to make your own holiday food displays, we also have all a full line of appetizers, entrées, seafood, fruits, veggies, cheeses, meats and desserts, as well as serving kits to provide you with everything you need to make your own displays for your party. We’ll supply the ingredients, you supply the creativity.